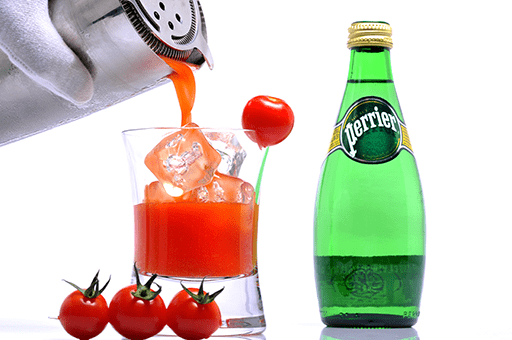 Inspired by the legendary cocktail « Bloody mary », the BLOODY PERRIER is the ideal cocktail for brunches. Very rich in tastes and flavours, this recipe will satisfy all the cocktail lovers. 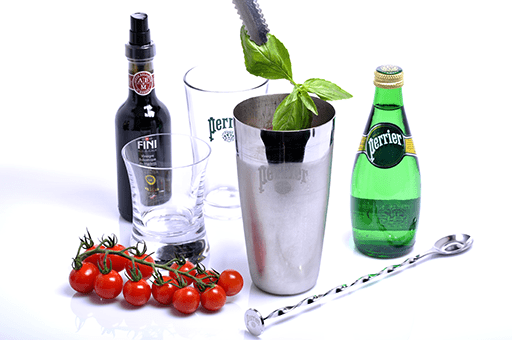 In a shaker filled with ice cubes, pour the tomato purée, the balsamic vinegar, the simple syrup and the fresh basil. 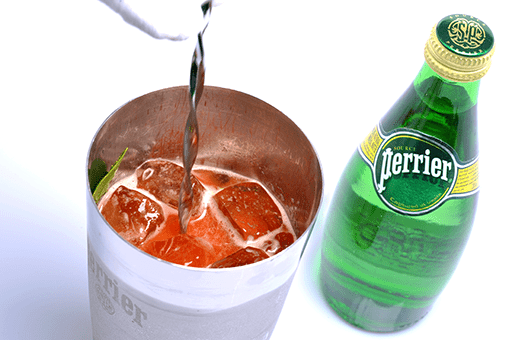 Open the shaker and pour the cold PERRIER. Mix well using the bar spoon. Filter the drink into a glass filled with ice. 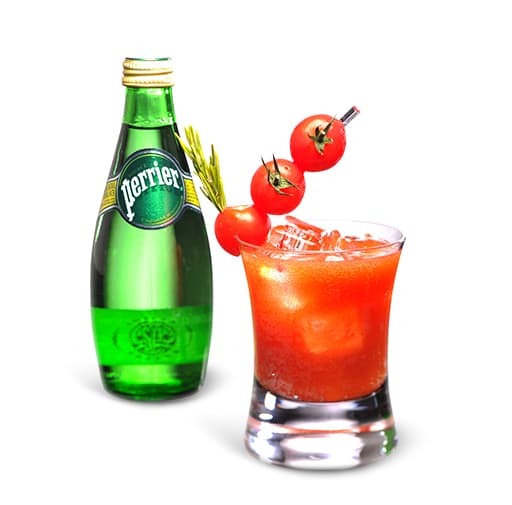 Garnish with 3 small cherry tomato.